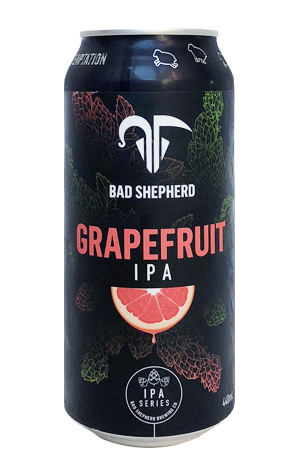 The IPA series continues apace at Bad Shepherd, where the likes of The Almighty IIPA and the aromatic-as-anything Citrus & Cedar IPA are now joined by this Grapefruit IPA to which fruit rather than fruit extract was added alongside a selection of hops known for their citrusy qualities. It's a hazy copper pour and one that heads towards the more bitter, pithy, tangy side of grapefruit; certainly, it's of a different ilk to some fruit IPAs that present more as a blend between IPA and fruit juice. Instead, it's lean and dry with a potent, drying bitterness and a herbal side to its hop character too.